LOOKING FOR THE PERFECT FAMILY HOME? 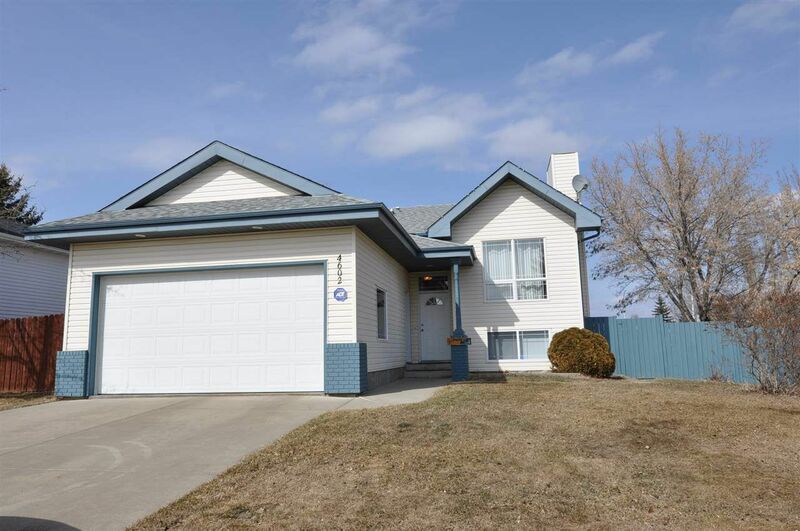 Located in the quiet town of Bon Accord and close to CFB Edmonton, is this lovely 1119sq. ft. Bi-leve. Features include a large updated eat in kitchen with patio doors to deck, bright open living room with hardwood floors, 2 good sized junior bedrooms, as well as a huge master bedroom boasting a 3 piece en-suite. Downstairs is a spacious family room with gas fireplace, extra space for games area or exercise machines, 2 piece bathroom that is roughed in for a shower, big spare room (currently being used as a 4th bedroom), office area with double doors, storage room and a big beautiful laundry room. Notable renos include; newer flooring, furnace 2018, shingles 2011, newer deck 2018. Home also features a double detached insulated garage with furnace and a good sized fully fenced/landscaped yard with gates to park an RV. Included is the fire-pit, perfect for your back yard entertaining! Don't miss this one! Priced to sell!